Transform XPM to ICO files online in a few seconds! Try the XPM to ICO Online Converter or take our batch App for more! Get a more poweful engine for large images and RAW photos. JPEG, TIFF, PSD, PNG, etc. Total Image Converter supports the widest list of output file types: PDF, TIFF, BMP, PNG, JPEG, JPEG2000, ICO, GIF, PCX, TGA, PXM, PS, PCL! Besides, it converts many rare formats like PALM, PICT, XPM, FIX. Along with conversions you can rotate your images! All is done in batch so you save a lot of your valuable time. 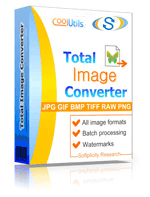 With Total Image Converter it's very easy to resize your photos or images in batch. Make them suitable for the web or emailing. Total Image Converter supports almost all RAW camera photos (CRW, CR2, NEF, PEF, RAF, X3F, RAW, BAY, ORF, NRW, SRF, MRW). Save them as TIFF or JPEG files for easy publishing or sharing. Add text watermarks to the header or the footer of the output file to prevent unauthorized use. The inerface of the pss is clear and straightforward. The built-in Preview panel helps you to view each file full-sized and learn the info about it. Total Image Converter can be run via command line (get the ready-to-use BAT file from GUI settings). Description XPM (X PixMap) is an actual standard (there is no officially recognized standard), intended for storing X Window pixmap data. The format is intended for creating icon pixmaps. An XPM file describes image data through ASCII text arranged in a plain-text Standard C character string pattern, which allows for easy and convenient editing. Thanks to compact file size, XPM files are easily transmitted via email. XPM is supported by many applications, including, but not limited to: CorelDRAW, Amaya, GIMP, ImageMagic, PaintShop Pro, etc. Description An ICO format is destined for storing icons in Windows. One such file can store a few icons with different size and colors for each. ICO supports square image 16 - 128 pixels. Today’s ICO version supports PNG and JPEG images integration, though icons are usually stored uncompressed. ICO supports true and high color depth, as well as fixed color palette 2 - 256 tones. The image structure is mostly similar to BMP, except the mast put on the background to implement the full image transparency.